I’ve wanted to write a lot lately but couldn’t focus on just one topic, hence my recent series of lists. The lists have given me more extended time to just reflect on lots of emotions, lots of surprises and lots of hopes and dreams for Hope, for me and for us. 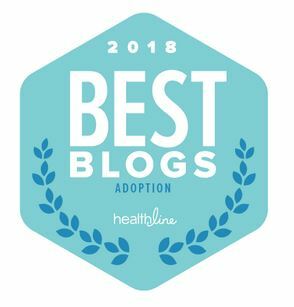 This time has also lead to some harder reality checks that I think I want to share about adoption and my personal journey. Hope’s fantasy life does not include ever needing to meet me. Recently, Hope and I got to joking about what our fantasies were about life. She asked me lots of questions and some of my answers made her giggle by their level of outrageousness. I quickly turned the tables and asked her about her fantasy life. I just wasn’t thinking and we fell into a bit of a dark space. Hope took a moment and told me that she wished her father was around and that they lived happily ever after. I wasn’t in the scenario. Why would I be? If the fantasy were true, even modestly, there was no need for my existence in her life. The moment she mentioned her father I knew I wasn’t a part of the fantasy; I even respected it. But I felt some kind of way about it. It hurt even if I didn’t admit it or show it. We recovered easily, but it was a reminder to me that she might love me but life should’ve been different for her. I’m guessing that dealing with the bio-family is the Holy Homeboy’s epic way of teaching me patience and grace. My tank is really almost always on E with some of these folks. I normally do not respond to what feels like their routine invasions. Truth be told it’s primarily one person who has a serious problem with boundaries who irks my nerves to high heaven. But every week folks seem to just turn up. If it’s not this one family member it’s someone else trying to friend me on Facebook. Hope has no idea that I play whackamole with her family on a regular basis, and I hope to keep it that way for a while. She really doesn’t have much for her bio-family in the way of words and her emotions carry waves of anger. So I click ok on the friend requests, put them on my containment list and move on to the next one. I’m in limbo at my church and it’s causing me some angst. Seriously, there is no shortage of faith-based patience challenges around these parts. I’ve requested the opportunity to dedicate Hope to God as a part of my commitment to raise her in a home of believers—like a baby dedication. But clearly Hope is 13 so a baby dedication isn’t quite right, but this isn’t something that takes the place of a baptism. Hope will make her own decision about being baptized. There are lots of discussions to be had and a decision should come soon. Who knew, right? Glad I wasn’t called to tie her up and toss her on top of an altar and hope for a ram. But I’m still waiting for a ram. The desire to dedicate her is a strong unexplained desire that feels right. I guess we’ll see what the Holy Homeboy has in store here. I’m wondering if anyone else feels weirdly calm in the midst of an anxiety swirl? I resume my fall travel schedule this week. Hope is kind of anxious and so am I. But we’re also really, really calm and low key about it. It’s weird. We talk about what’s scary about it. We’ve got great help with the nannies and family support. The schedule is on lock and we know what it supposed to happen. And so there’s a strong faith that we will be just fine. And that calm sits in the midst of a lot of other emotions about my need to travel. We are in a really different place than we were months ago. We’ve got a plan. We’ve done it before, and there were no epic disasters. So, we’ll be fine right? Yeah. We’ll be fine. So it’s time for another week of great adventures! In other news, if you want to follow my exploits or just engage me in semi-real time, I’ve finally set up a Facebook page: Adoptive Black Mom. I’ll hang out there, post some things and think about new lenses to apply to this journey with Hope. 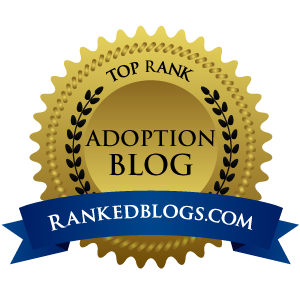 This entry was posted on Monday, September 22nd, 2014 at 7:49 am	and tagged with adoption, Adoption Lessons, Adoption Lessons Learned, Adoptive Single Moms, African American Adoption, African American Parenting, African American Single Adoptive Mom, Finalization Life, Lessons Learned and posted in Finalization Life, Lessons Learned. You can follow any responses to this entry through the RSS 2.0 feed. I completely understand the dedication thing. We recently had one with our church for our three older kids. I hope your church comes around to the idea, you and her a building a life together and want God to be a part of it. While that discussion about fantasy life had to be difficult, what struck me was that Hope felt comfortable enough to talk about her father and her desires and felt safe enough that she could be open without repercussion. I would count that as a parenting triumph.